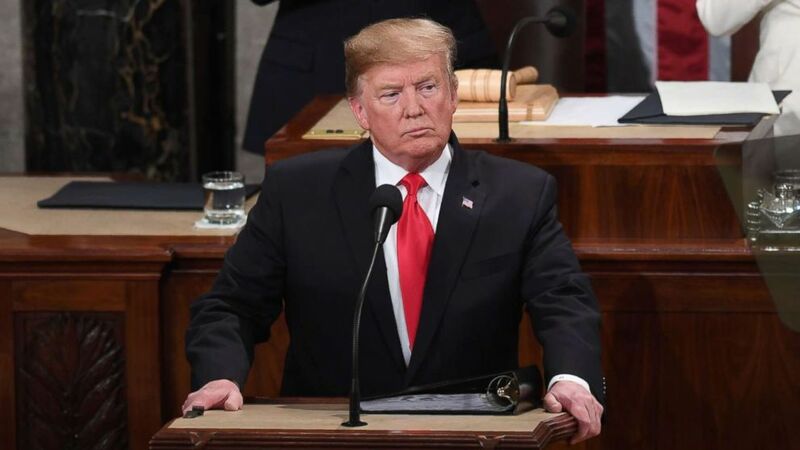 "I will get it built," President Trump vowed during his address. 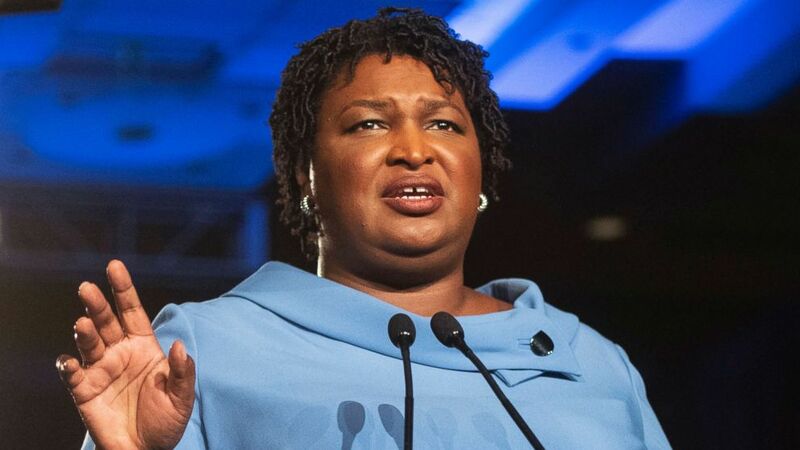 (John Amis/AP, FILE) Georgia Democratic gubernatorial candidate Stacey Abrams addresses supporters during an election night watch party in Atlanta, Nov. 6, 2018. 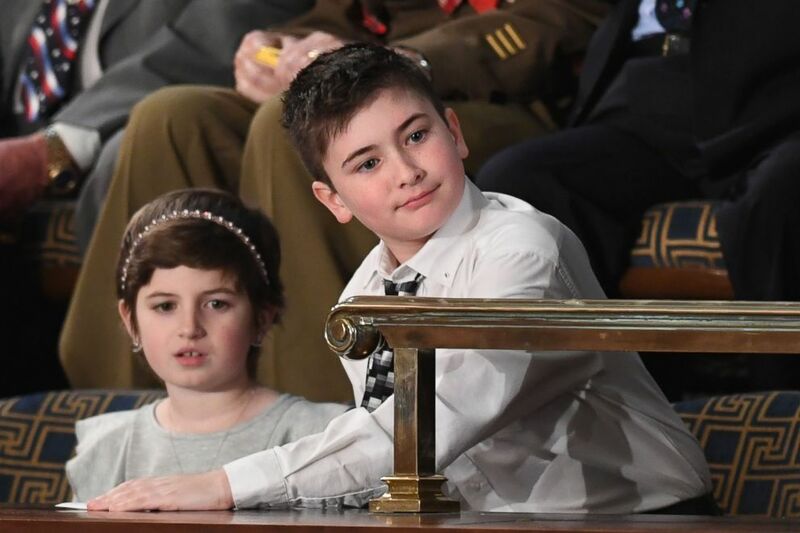 (Saul Loeb/AFP/Getty Images) Joshua Trump and Grace Eline attend the State of the Union address at the U.S. Capitol in Washington, Feb. 5, 2019. 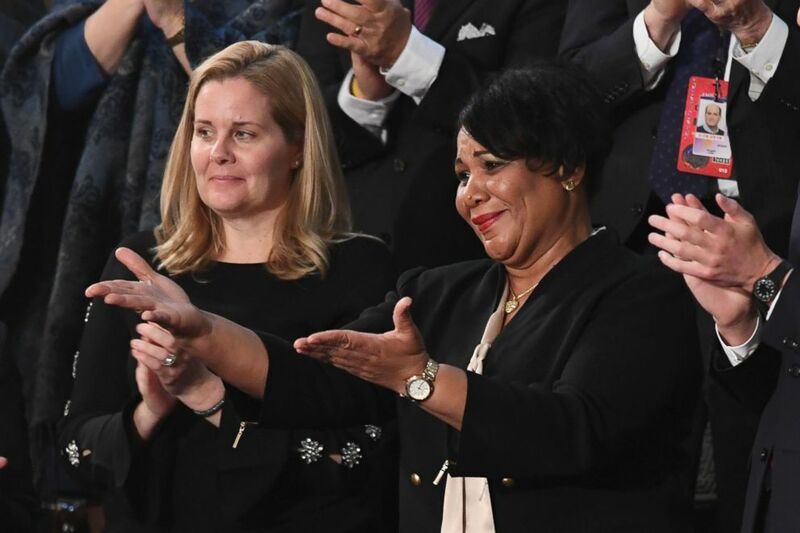 (Saul Loeb/AFP/Getty Images) Alice Johnson, one of the President's special guests, reacts as the president acknowledges her during his State of the Union address at the U.S. Capitol in Washington, Feb. 5, 2019. 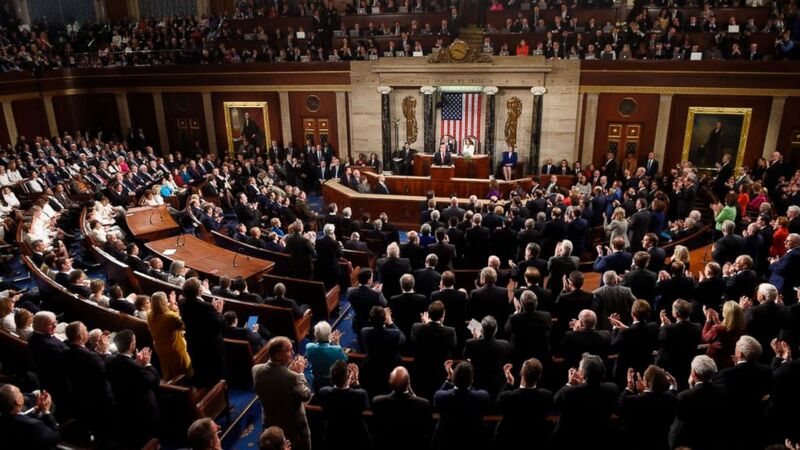 (Saul Loeb/AFP/Getty Images) President Donald Trump, flanked by speaker of the U.S. House of Representatives Nancy Pelosi and Vice President Mike Pence, takes the podium to deliver the State of the Union address in Washington, Feb. 5, 2019. 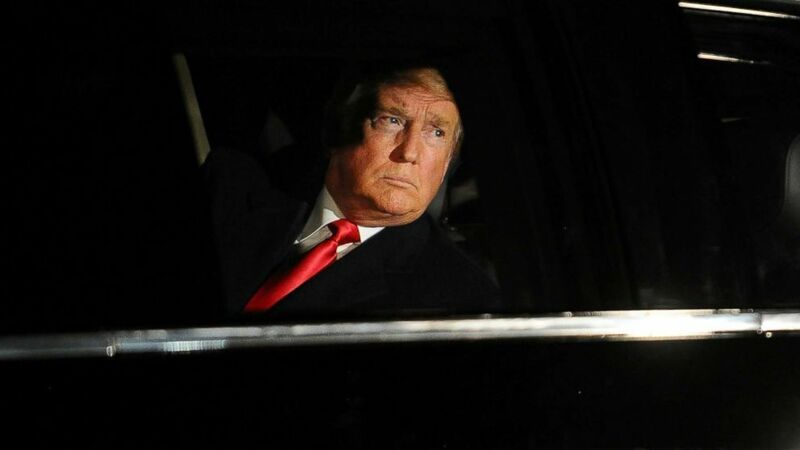 (Mary F. Calvert/Reuters) President Donald Trump departs the White House to deliver his State of the Union address to a joint session of Congress in Washington, Feb. 5, 2019. 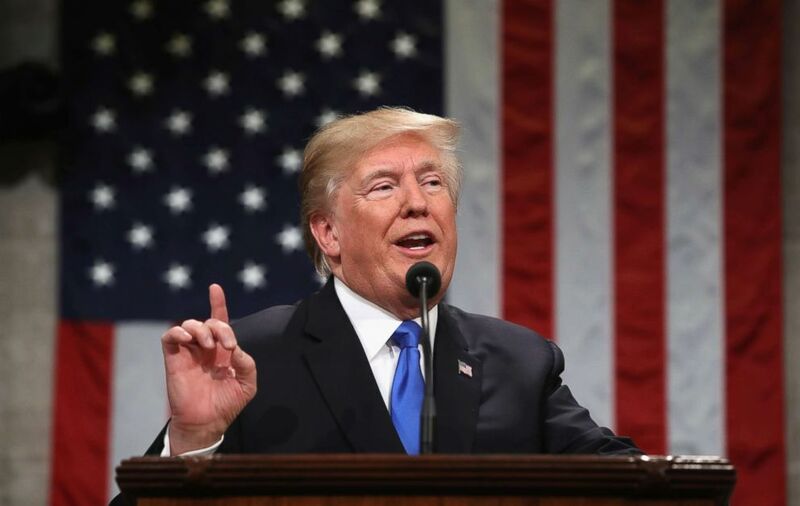 (Win McNamee/AFP/Getty Images, FILE) President Donald Trump gestures during the State of the Union address in the chamber of the U.S. House of Representatives in Washington, Jan. 30, 2018. 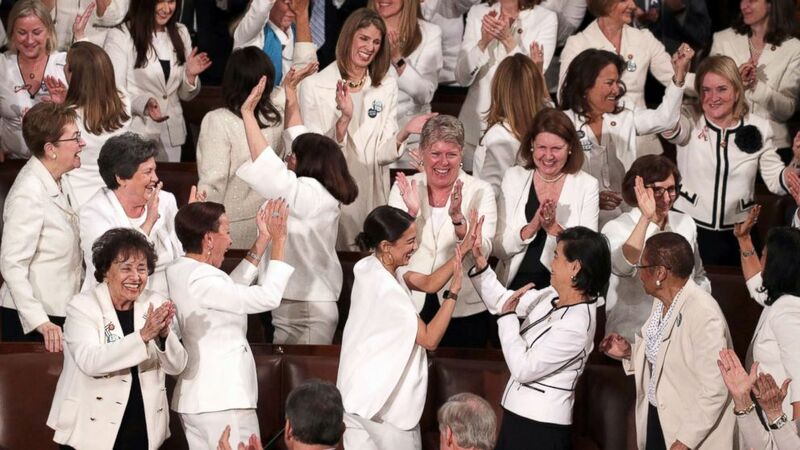 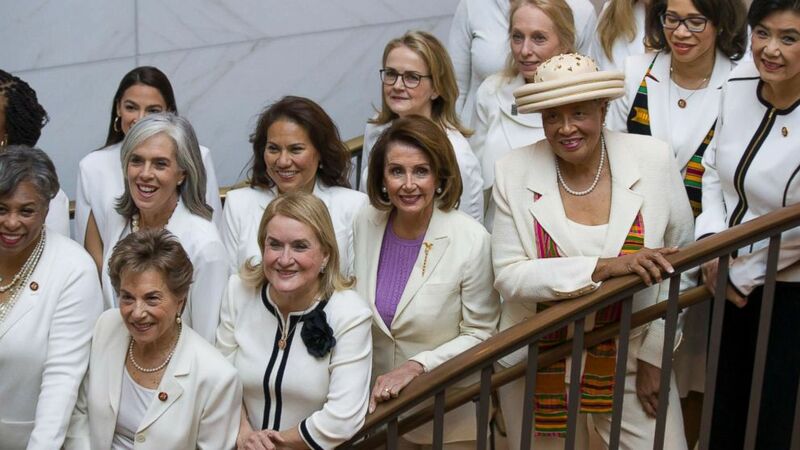 (Alex Brandon/AP) House Speaker Nancy Pelosi is joined by other women wearing white, as they pose for a group photo before the State of the Union address by President Donald Trump, on Capitol Hill, Feb. 5, 2019, in Washington.